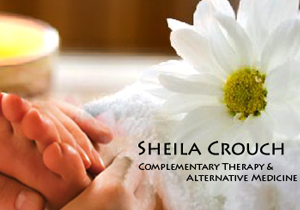 Theta Healing is a meditational process that creates physical, psychological and spiritual healing. An energy healing moduality founded by Vianna Stibal she discovered when recovering from cancer. It is an interactive form of healing which includes the client at all levels and stages so that they are completely in control of any changes they wish to experience. It is a profound and instant energy psychology therapy and can be described as a quantum form of healing. As science is now coming to align with ancient philosophies and beliefs, what was once thought of as "alternative", "nonsensical" or "impossible" is now being seen to be proven. With growing scientific evidence that toxic emotion can contribute to disease and the awareness that emotions, feelings and the power of thought have a direct bearing upon our physical health, there is increasing interest in changing how the mind influences the body to create optimum health and wellbeing. Belief and Feeling Work empower people with the ability to remove and replace nagative emotions, feelings and thought with positive beneficial ones from the Core, Genetic, History and Soul levels. Theta Healing can be most easily described as an attainable miracle for your life. By connecting and using our ability to heal using theta brainwave through a connection to our source, the creative intelligence of all that is we are able to change any diminishing beliefs and behaviours that do not let us feel joy and abundance in our lives. The Law of Attraction states that like attracts like. By clearing our energy of trauma, stress, unresolved experiences and negative beliefs we can create the reality we would wish for ourselves.